The Nicene Creed, a creed invented by men in the fourth century, is taken by the majority to be considered the foundation of Christianity. It constantly comes up to define who is Christian and who is not, and one can see its influence in most Christian churches when they define their belief in God as “three persons.” However, it was completely unknown for the first three centuries of Christianity. Historians who study early Christianity will divide it into two periods: ante-Nicene and post-Nicene. The reason: the Nicene Creed changed and altered the original truth of Christianity. Today, people just follow it without question. But what if it was found that the Nicene Creed was not based on scripture? If it is found to be against scripture, then the Nicene Creed is not only not Biblical, but it is also not Christian. So let us take a close look at the Nicene Creed. There are two main variants, the original from 325 A.D., and a later version called the Niceno-Constantinopolitan Creed from 381 A.D. Is it Biblical or not? Is it a tradition of men that has made void the word of God? Let’s take a look. IS THERE SUCH A THING AS A SON OF GOD BORN FROM ETERNITY? 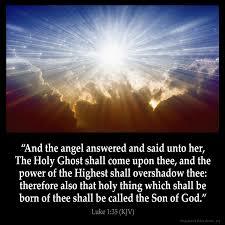 This is a prophecy of the virgin birth of Jesus the Son of God (Acts 13:33, Heb. 1:5). Again it says “this day” and “begotten” – referencing the virgin birth in time. There is no such thing as a Son of God born from eternity, this is a false invention of the Nicene Creed which was invented to combat Arianism. If, however, one understands that the human form, the incarnation, was begotten, and the soul of Jesus was Divine and thus not created, one can arrive at a true understanding of the incarnation. The Word of God, known to the Greeks as the Logos, is the Divine Truth that emanates from Divine Love. There is one Divine Being who is Divine Love and Divine Truth, who made a descent into human form as to the Divine Truth that emanates from Divine Love. This Divine Love and Divine truth corresponds to the will and understanding in each person, for we are made in His image (see God is Divine Love and Divine Truth). 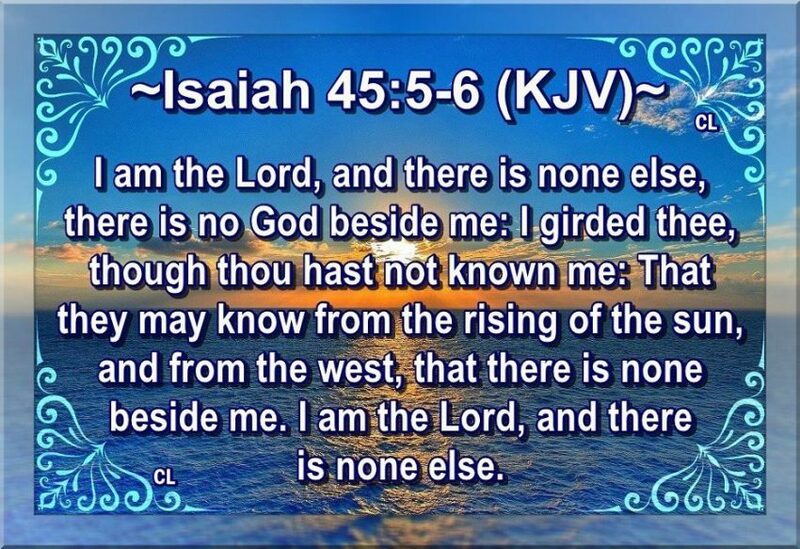 In other words, Jesus is Jehovah Himself. 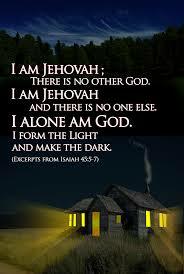 More precisely, Jesus is Jehovah in human form. It is the human form, the Word made flesh, which is the Son of God. The Father is to the Son as the soul is to the body in Jesus Christ. That is why Jesus said the Father is in him, and he who has seen him has seen the Father. The final objection one may bring: why is Jesus described at sitting at the right hand of the Father, as also described in the Nicene Creed of 381 A.D.? This is a figure of speeach which means all power, or omnipotence from the Divine. See The Spiritual Symbolism of the Right Hand. It is the human born to the virgin Mary which is the Son of God, and Jesus later revealed that he is Jehovah in human form. This human form was initially inferior to God and subject to temptation like all of us, but upon the resurrection the human was made one with the Father, a Divine Human. The Divine Human is the Son of God. With the creation of the Nicene Creed, endless theological disputes resulted. 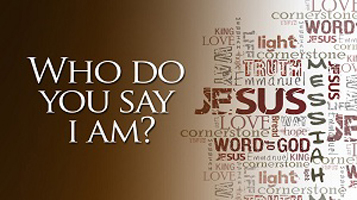 In the end, many were deceived to declare that Jesus has two natures, the Divine and the human. And this fit the political goal of Papal Rome who falsely declared the Pope to be the “Vicar of Christ.” The truth of the matter is that Jesus gradually put off the human from the mother, and was transformed into a Divine Human. This shows that the Word of God is indeed the Divine Truth (see God is Divine Love and Divine Truth). To “sanctify” is cleanse onself from evil and falsehood through the truth. But notice this: Jesus says he must sanctify himself. Jesus could be tempted by all of hell from the imperfect human form he inherited from his human mother Mary. In this manner, a spiritual warfare arose between Jehovah and all of hell, it is through the human form that Jesus could be tempted. It is in this way that he “bore our sins.” By making his human form Divine upon the resurrection, the Lord could reach all humanity that had been cut off from heaven through the Holy Spirit. This salvation from Jesus Christ is available to all who decide to shun evils as sins, and to walk down the path of repentance. For Christ also suffered once for sins, the righteous for the unrighteous, that he might bring us to God, being put to death in the flesh but made alive in the spirit (1 Pet. 3:18). Both passages contain the same word for “righteous.” But Jesus could not suffer for our sins unless he had inherited a body that had sinful tendencies from Mary. This he completely resisted until he made the external human form Divine. 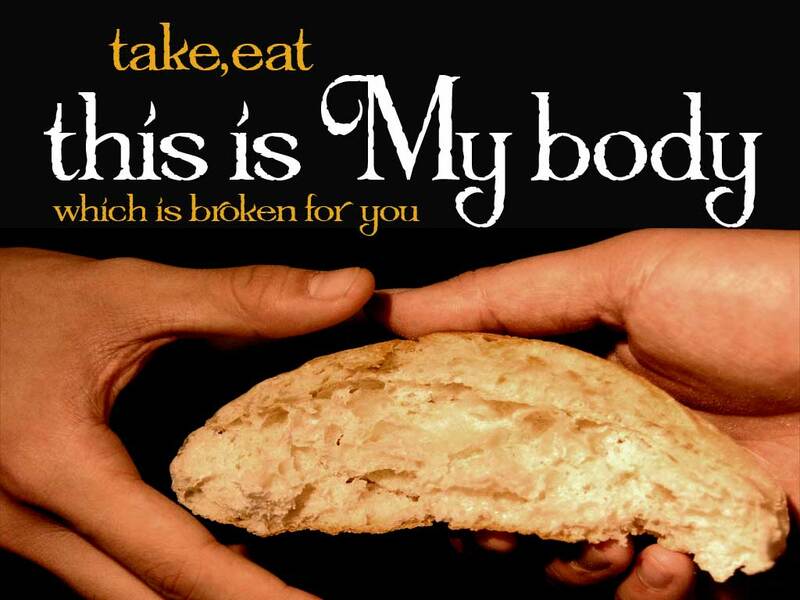 The Divine Human also explains the central ritual of Christianity: the Eucharist, or Communion, in which all of the church partake in the body and blood of Jesus Christ. This obviously does not mean the literal body and blood of Jesus Christ, but rather, we partake of Jesus inasmuch as we receive good and truth from Him (see The Symbolism of Communion and Salvation by Blood). The flesh, or the human form, is in fact the Son of God, and was made Divine upon the resurrection. In true Christianity, there is one God who is one personal being, who became incarnate in human form, and this human form was united with His Divinity. The Nicene Creed created a Son of God that was begotten from eternity yet not made, which not only is a self-contradictory statement, but it creates a second person. 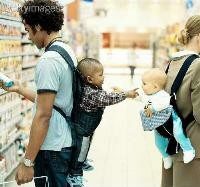 The true Trinity resides in the soul, body and spirit of Jesus Christ, there is no such thing as three persons. With the Nicene Creed, a false theology then developed. It leads to several falsehoods which pervades the theology of modern Christianity. It was by making the human form Divine that salvation for humanity was effected. This is why the resurrection was a necessity. Without knowledge of the Divine Human, which is the Son of God, a new theology later developed in the west known as “vicarious atonement” or “substitutionary sacrifice,” which no theologian can logically explain. The Nicene Creed forces one to create a second person from eternity, which is a falsehood. It leads to dividing God into three persons, each of them god, thus hidden within the facade of modern Christianity is a form of tritheism. Many who pray the Lord’s prayer, when praying to the Father, pray to Him as another person bypassing Jesus Christ, without realizing prayers should be directed to Jesus Christ alone, for he is the Father in human form, the visible image of the invisible God. As the theology is not based on scripture, nor on rational logic, much of theology became enshrouded in the “mysteries of faith” a form of blind belief, in which rational thinking is suspended (see Truth by Religious Tradition & Authority vs. Spiritual Truth). In the modern age, in which the public is no longer blinded by religious authority, an irrational theology leads many to a loss of faith, to a form of atheistic naturalism. From the Nicene Creed the anonymous Athanasian Creed later arose in the west. To see a corrected version of the Athanasian Creed which removes the falsehood of the Nicene Creed, see The Corrected New Athanasian Creed. Hopefully this will lead some to re-examine the false traditions of men which Jesus warned against. Practically every church will list “three persons” as the top thing of what they believe in, which is an erroneous assumption invented by the Nicene Creed. All should examine if the Nicene Creed is Biblical, instead of using the Nicene Creed to evaluate if one is Christian or not. Because if the Nicene Creed is in itself not Biblical, it in itself does not define true Christianity, and in fact perverts it. If however, one understands that Jehovah was begotten in time in human form, but as to the soul is Divine and not created, one can arrive at a true understanding of Christianity. And this would mean there is a need for true Christianity to be restored to its original form, by acknowledging God as one personal Divine being: Jesus as Jehovah in human form.